Energy Flowing: Physical aspects of divine energy are flowing into your life. Look for foundational changes and support coming in to help your create a new reality to grow from. Number 111 is a powerful number of manifestation, and carries the combined attributes and energies of number 1 and the karmic master number 11, & 1 which resonates with assertiveness, independence and uniqueness, motivation, new beginnings and striving forward, insight, self-leadership and inspiration, positivity and achieving success. Number 11 tells us that to connect with our higher-selves is to know and live our soul mission and life purpose. Number 111 symbolizes the principles of spiritual awakening and enlightenment, high energy, inspiration and intuition, self-expression and sensitivity. New Cycles Starting: This is the beginning of a new path. Look for the next 3 fold number sequence you see to get more clarity of the new path you are ready to embark upon. Another meaning of 222 and a reason why you are seeing 2:22 repetitively, is that the new ideas that you’ve seeded in your mind are ready to grow and become your new reality. So, what was it that you planted? If the ideas that you’ve consciously or unconsciously nurtured actually serve you for your highest good, continue to water and care for them. They will emerge from the fertile ground of your mind and you will soon see them manifested into your life experience as your own creation. Always remember that you are the producer, director, writer, and actor of your own play. Have faith and patience in your life plan. The bigger the goal, the more physical, mental, emotional, and spiritual energy you'll have to put into your plan in order to make it happen – and it will happen. It will happen at the right time for you. Keep up with the positive affirmations and visualizations. Time to make a Decision: You have a decision to make - this will lead you to a 666 sequence where it will be time to repeat a lesson on a deeper more wisdom filled level or to a 999 which shows reconciliation of karma and completion through all time and all space. Hence, if you're on the right path, your decision can turn into a 999 energy, which brings closure to your problem. In this case, whatever your decision was, you made the right choice, and you’ve put an end to what’s been on your mind. Opposed to a 999 decision, you can be less inspired and go for a 666 decision. This decision is the result of being out of alignment with yourself. Eventually, you will have to start over. Because all growth comes from pain and suffering, challenging experiences are meant to be learned so that you can grow. Your soul already knows what to do and you just need to listen to what feels good in your heart. The best decisions are always based on love. Can you remember a time when your decision was based on fear? What was the result of that decision? When you see 333, all you have to do is ask for the blessed guidance of the ascended masters, have faith and you will receive it. Trust that you are surrounded, protected, loved, and guided by the spiritual masters of our planet. What is currently occurring in life is a reflection "creating your reality". It is time to dive deeper into what you may think you know. Take time to study through a mentor, reading, seeking or discovering what this reality you are creating is all about. When you see 444, it's a sign to let you know that you’re on the path of spiritual awakening. You have become more aware of the spirit within you as you are feeling the subtle energies from the Universe. The more you start learning about this new path, the more you want to discover who you really are. Are you suddenly more interested in the spiritual nature of things? Are you into spiritual books and people? The number 444 is here to tell that you’re awakening and you're on the right track of entering another dimension on a higher spiritual plane. Unity Consciousness: Congratulations your have arrived at the level of unity consciousness on the Spiritual Plane. Mastery of teaching through the lower body or the 3D - 4D planes has been accomplished. Christ Consciousness - Highest Spiritual Number. Seeing 555 is an angelic reminder that you are a divine infinite being who chose to incarnate here on Earth to experience life. Always feel that you have worth because you are here to co-create with the Universal Source and complete a life mission. Your life has ultimate significance. 555 is a powerful number and it represents the wholeness of creation. It is the number of Christ, the number of unity in consciousness, the pentagon, the 72° angle, and so on. Hence, the meaning of 555 is the perfection of the human being that is you. Earth Consciousness: Number of life and mankind in his relationship to the Earth. Carbon has six protons, six neutrons, and six electrons. Watch for physical events happening on a Community and Earth level. Number 666 is a compilation of the energies attributes to the number 6, including honesty, justice, integrity, charity, faith, love, humanity, service, balance and peace, domesticity, responsibility, care, the teacher, convention, the provider, protection, idealism, selflessness, charity, faithfulness, the nurturer, truth, order, economy, emotional depth, curiosity, deep love of home and family, humanitarianism, service, unselfishness, balance, peace, self-sacrifice, empathy, sympathy, unconditional love, circulation, agriculture, grace, simplicity, compromise, reliability, social responsibility, compassion, beauty, the arts, generosity, concern, family, home, community service, self-harmony, nurturing, caring and harmony, the need for stability in all areas of life, society, possessions, planetary issues and concrete tangibles. Number 6 also symbolizes gratitude, responsibility and service which needs to be achieved through love and self-less service to humanity. The school of life where you are no longer simply learning the lessons but living the lessons becoming present to their teachings. You are riding the wave and are in tune with your true self and the whole Universe. You are in alignment with your life purpose. When you understand who you truly are, you work on what's meaningful to you and bring your energy and light to the world. This is what the world needs from you. Whenever you see 777, remember that your purpose flows from within you and everything that is unfolding or being revealed to you is part of your purpose. You’re exactly where you’re supposed to be in life. Completion of a particular LESSON on that has been swirling around you during you for completion. Number 888 is a powerful number as it carries the vibrations and attributes of number 8 appearing tripled, magnifying its energies and influences. Number 8 relates to self-reliance, reality, manifesting wealth and abundance, dependability, truth and integrity, self-confidence, discernment and good judgement, achievement, giving and receiving, philanthropy and serving humanity, and karma; the laws of cause and effect. If you are seeing 999 everywhere, you are among an elite few, as this is one of the more rare Angel Number sequences. Witnessing 99 in your field means you are ready to complete a divine cycle or transmute on the highest level for the next phase of your spiritual journey to settle in. 99 allows one to see the divine plan in full clarity and do what is needed on a cosmic level to achieve completion. When 88 is present you are being shown that all that sits in your mental realm is being given a green light to manifest. This can also be a clue to review your through processes to make sure there is no ego attachment in moving forward. 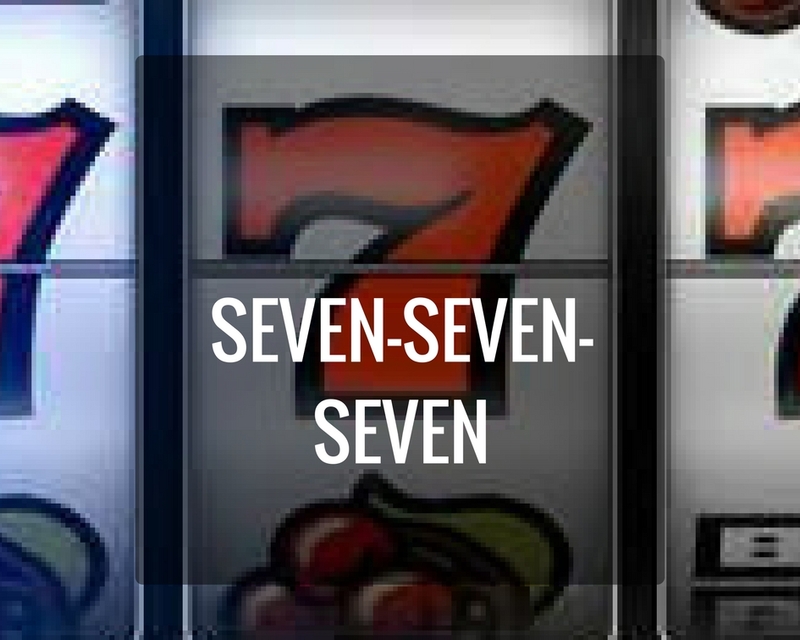 When 77 shows up on your path know that the angels are communicating directly to you. Look for the signs or synchronicities you missed or follow the immediate guidance you are being givin as a new project, contract or tangable plan is being established waiting for your connection. When 66 is in your field be prepared to see reflections of your life work in the people and field around you. When a level of 66 is achieved you have completed soul level contracts that now get passed along to the community of spiritual workers who surround you. Your work in the field will be felt by all whom surround you at this time. Be aware that 66 shows power in healing and letting go to others so that more of your divine path can come through. When 55 shows up on your path be ready to let go of your attachments and follow divine will. This number will take you to areas where magic and manifestation happen before your eyes. Think it, See it and it appears. What you need is with you and on hand. To be heart centered in this space allows divine to usher into your life the connections you need to reconcile your path. When 44 appears in the field around you watch for opportunities to hold a greater conscious perspective for what is happening on the physical plane. The number is here to remind you that negative, dense, fear based energy is surfacing and needs your balanced attention and higher perspective to shift the Collective Consciousness into a new perspective. This number when perceived in the human field can signal a divine connection to heart path opening up. Watch for guides in 3D or higher form to be around guiding and showing you the way. 11 Walks the edge between greatness and self-destruction. Its potential to grow into that which is divine perfection is undenyable. Holds the key to spiritual truth and a time for introspection to see where duality is keeping you from your divine birth right. Eight is found in I-Ching, based off combinations of eight trigrams, each the result of a twofold choice between yin or yang lines.